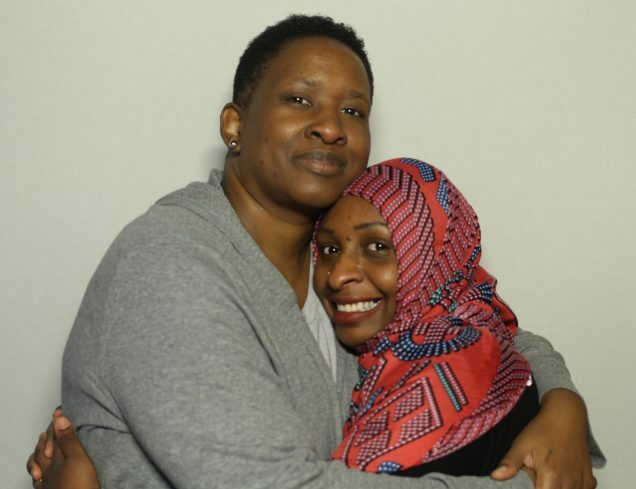 In April 2016, Adama Bah spoke with her “second mom” and friend, Deleen P. Carr, about her experience being forcefully detained as a 16-year-old on suspicion of terrorist activity, and what her life has been like since she was released with no charges. “I was sleeping, and…all I remember is when they came and pulled the blanket off my head. I’m 16, I’m going to pull the blanket back on. It wasn’t time for school because the sunlight wasn’t out. And then you hear noises and voices — ‘Get up! Get up!’ — and they’re not say, ‘Hey, get up, sweetie!’ No, they’re very rude,” Adama says, as she remembers when FBI agents and police came into her family’s home and took her and her father away. She tells Deleen about how confused she felt, and initially told the agents, “You can’t do this to me, I’m an American.” The officers told her that she wasn’t, and that she had no rights.